Good looking and well engineered. Efficient engines. Excellent steering and handling, better still from 2017 revamp. Compliant suspension. No DAB radio at launch (DAB arrived for 2017 MY). 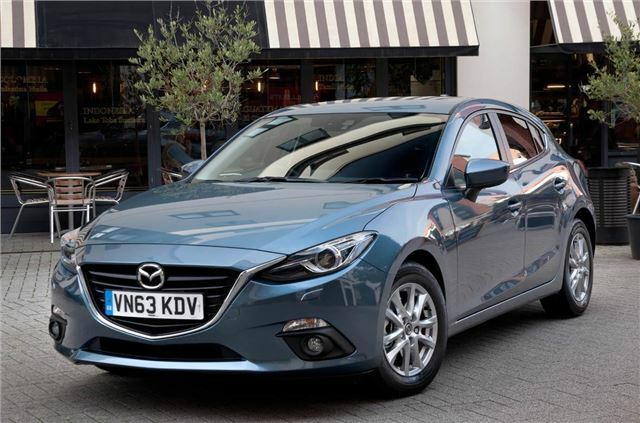 With its interesting, stylish looks, the latest Mazda3 is bound to draw attention – but it’s not all style and no substance. 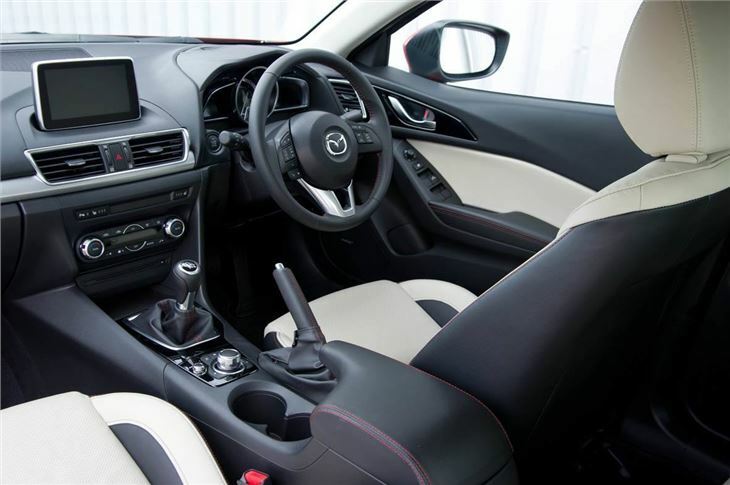 A well-made cabin, decent practicality, strong engines and excellent driving dynamics combine to make the Mazda3 a strong contender in a busy class, taking on rivals like the Volkswagen Golf and SEAT Leon. There are more petrol engines than diesels, kicking off with a 100PS 1.5-litre. There is also a 2.0-litre with either 120PS or 165PS, plus one diesel variant – a 2.2-litre with 150PS. This high-tech engine offers official economy of 68.9mpg and emissions of 107g/km, despite its 150PS power output and 8.1 second 0-62mph time. 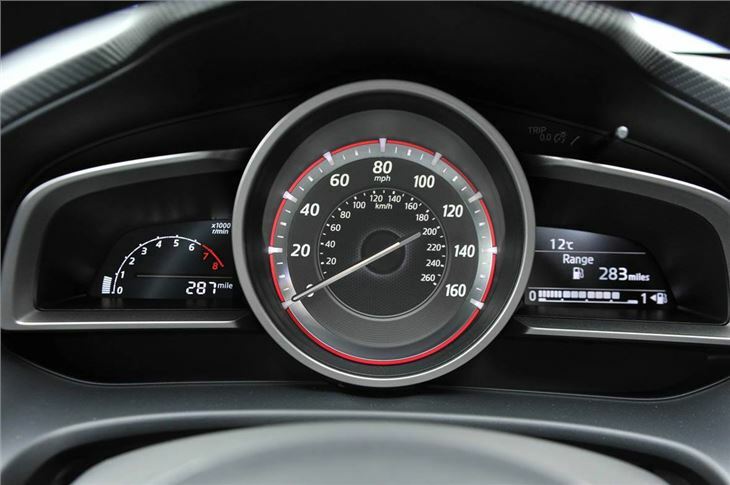 Performance is impressive across all engines, petrol or diesel. 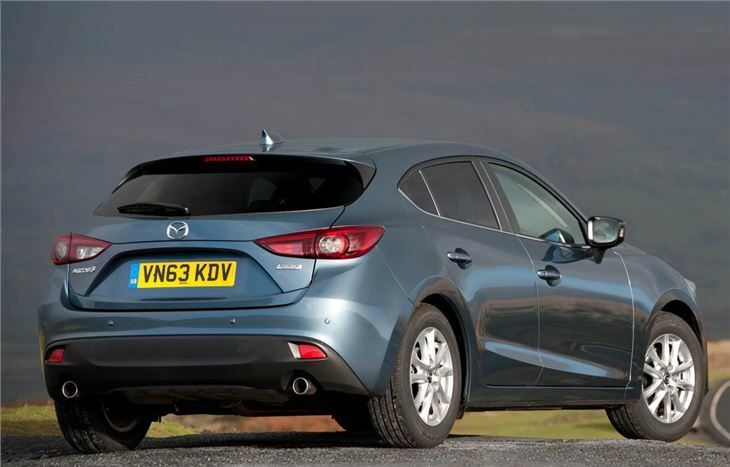 With the exception of the entry-level 1.5-litre engine, all of the manual Mazda3 variants clock impressive acceleration numbers and offer good in-gear performance thanks to useful torque outputs at low engine speeds. The enjoyable performance pairs with the nicely weighted, accurate steering, well-judged suspension and smooth gear change to make for a very enjoyable car. 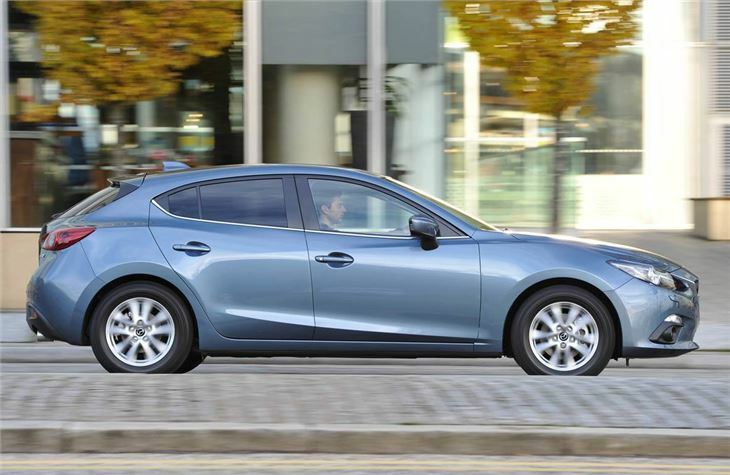 Through a series of corners the Mazda3 remains comfortable yet controlled, with little body roll and a good sense of connection to the road. Enthusiastic drivers will enjoy it. Practicality is generally fairly good – rear legroom is plentiful, though headroom could be better. Boot space lags behind the Volkswagen Golf, but it is no means bad at 350 litres. There are plenty of little storage areas in the cabin, while up front the layout is simple and easy to get to grips with. 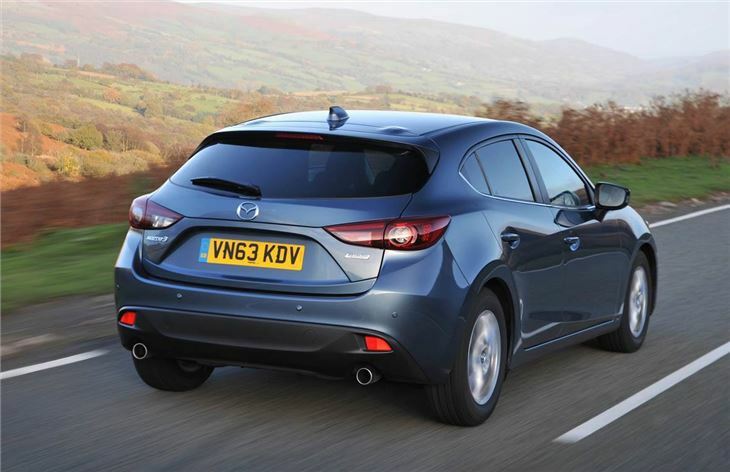 Material quality is very good – the Mazda3 feels like a quality car. 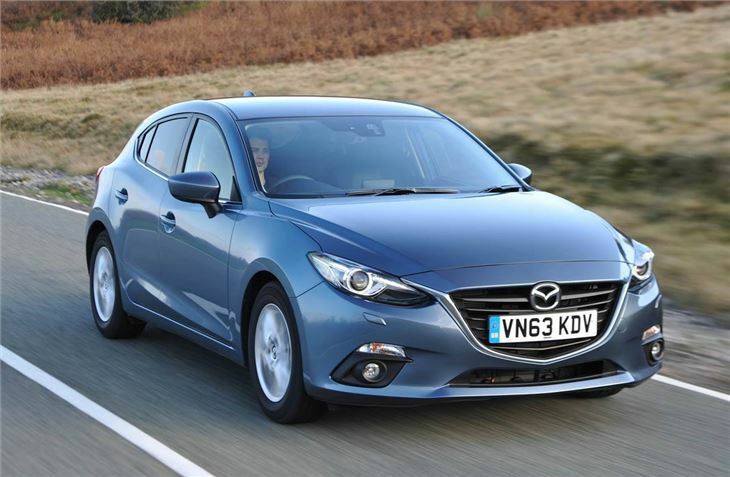 For someone who wants to stand out from the usual crowd of Volkswagen Golfs and Vauxhall Astras the Mazda3 is a great choice. It offers all the impressive quality of rivals like the Golf, plus it has strong engines and excellent driving dynamics, making it easy to recommend. Have enjoyed driving this car, almost always on my own, although one or two things could be improved. The Mazda 3 is a pleasure to drive. Superb, except no spare! Petrol every time!